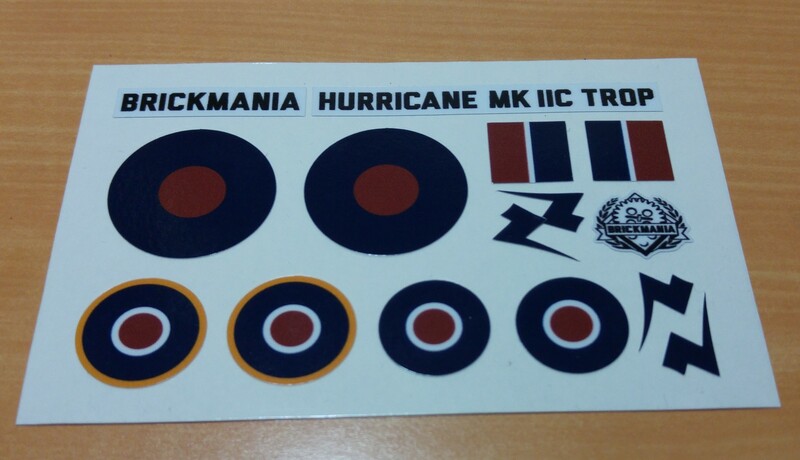 The Hawker Hurricane is a British single-seat fighter aircraft that was designed and predominantly built by Hawker Aircraft Ltd for the Royal Air Force (RAF). 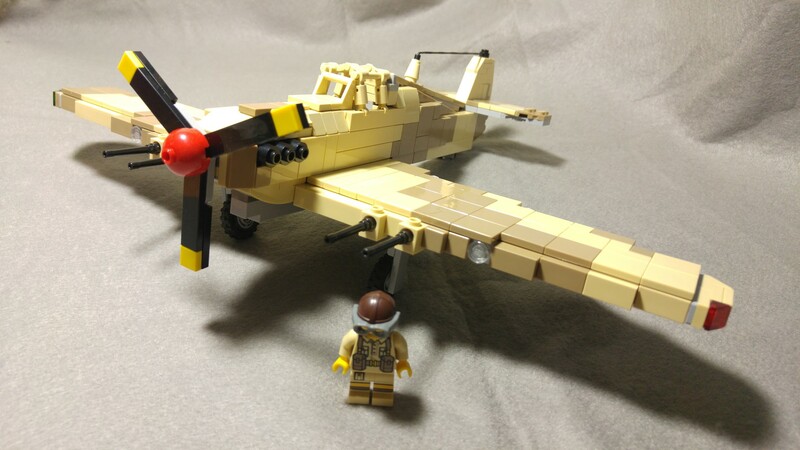 While maninly overshadowed by the Supermarine Spitfire, This aircraft became renowned during the Battle of Britain and served in all the major theatres of the Second World War. 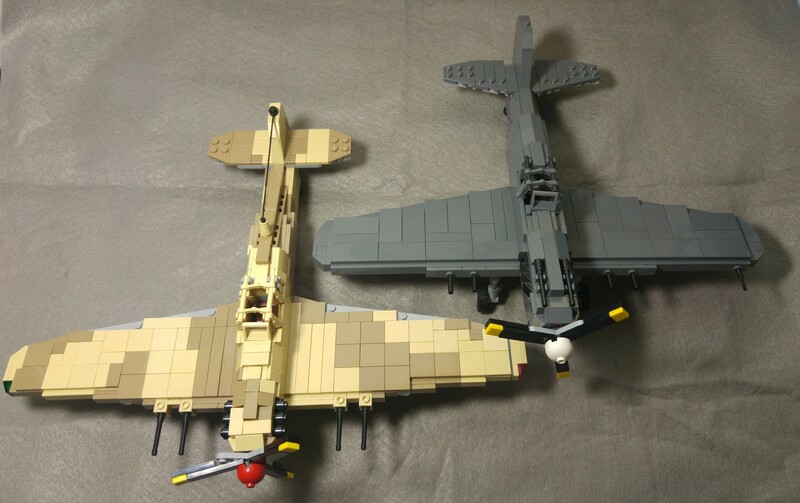 The kit is a BrickMania premium kit and comes in a black box. 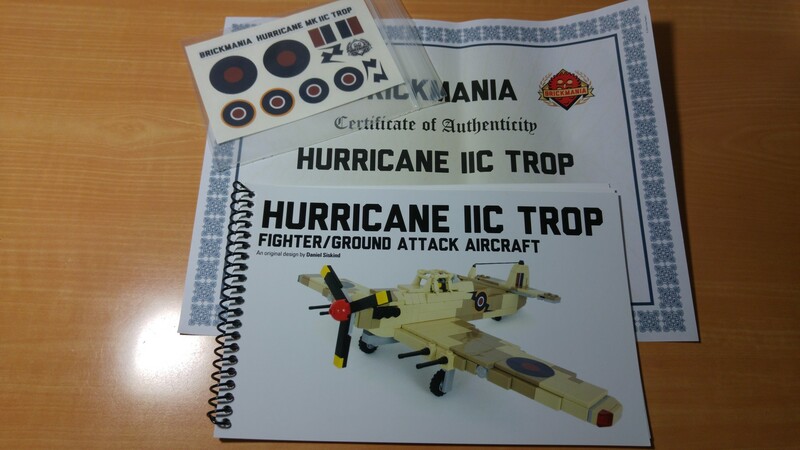 The box contains the following, a ziplock bag of the LEGO parts required for the kit, an instruction booklet, a certificate of authenticity of the kit and lastly a die cut premium vinyl sticker sheet. 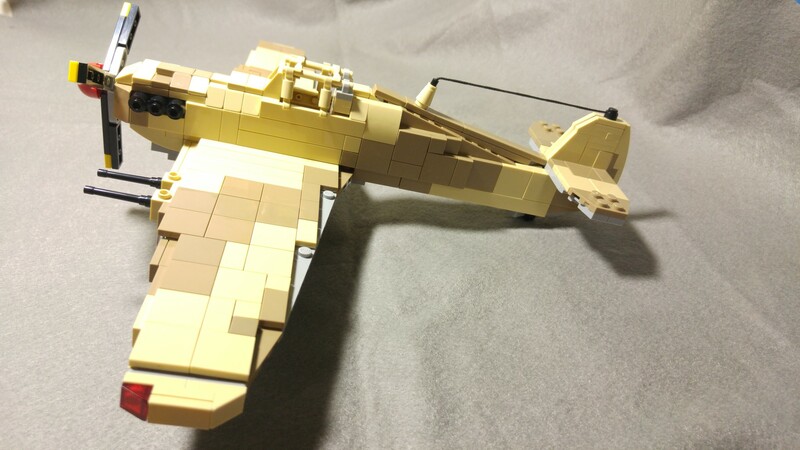 The minfig which is a custom pad printed one. Legs are also printed! 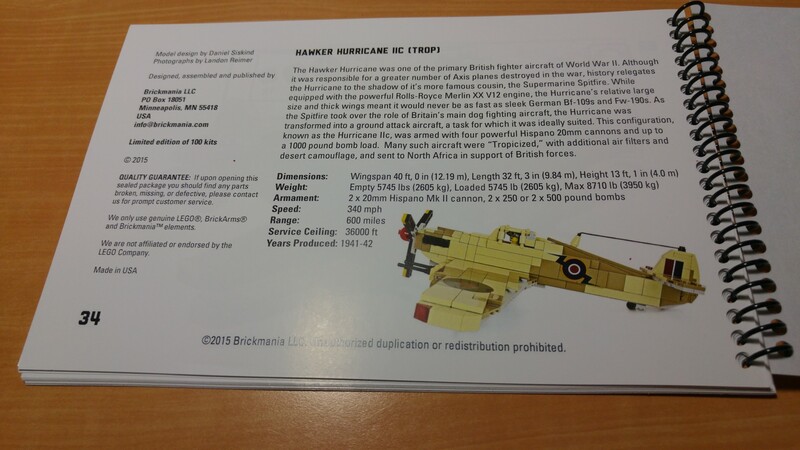 How does the model compare with the real Hurricane – Very accurate built when compared to the real plane! 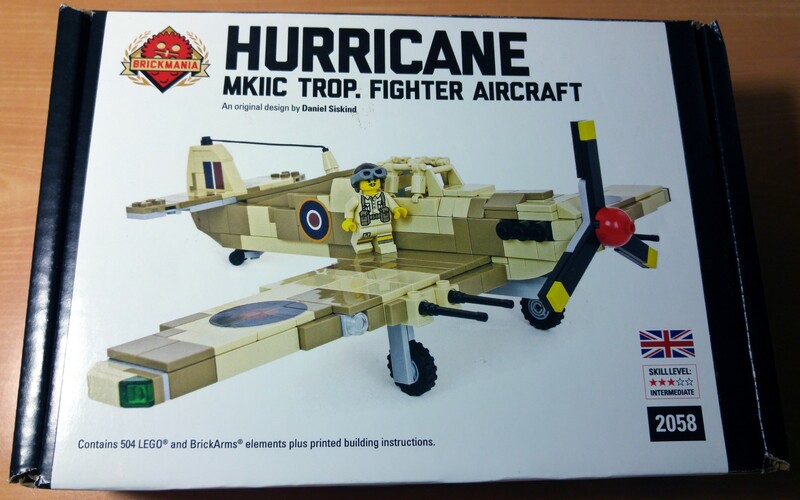 As with the other kits, it was fun assembling the Hurricane. 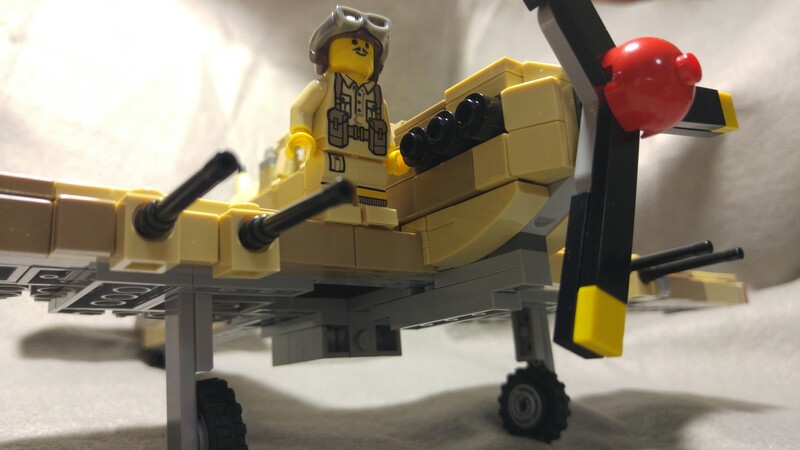 It took about 3 hours to assemble. 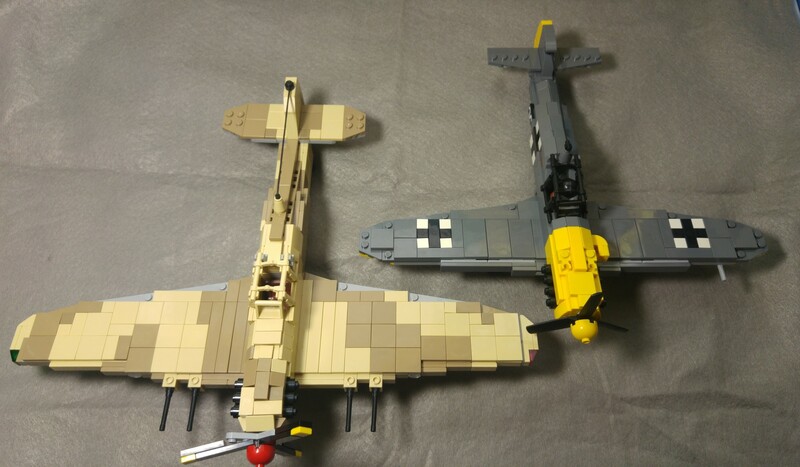 Final construction was impressive, overall it is tough enough for daily play, only problem is the 4 machine guns which drops out at the slightest touch.The high quality stickers add on great details to the plane, however I did not apply the stickers for my set. 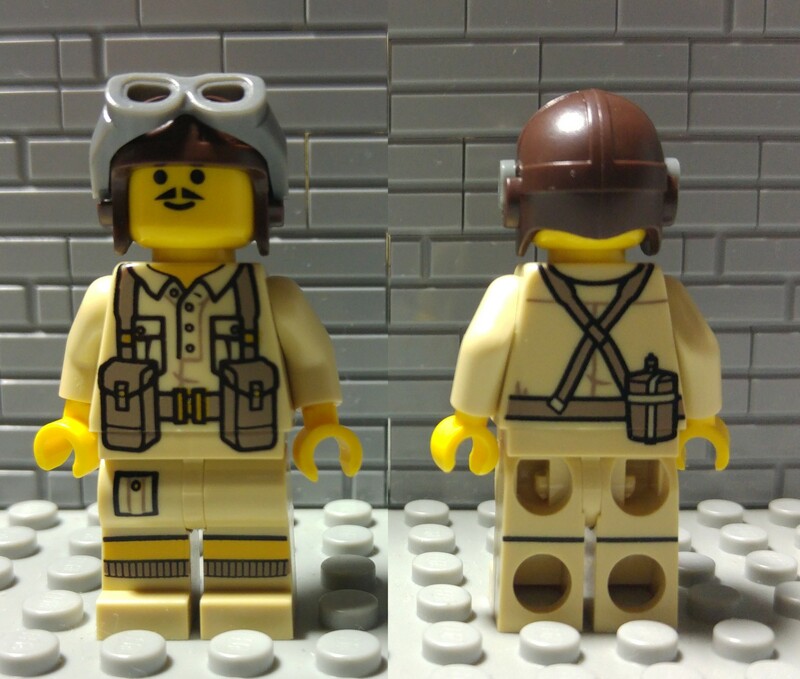 The pilot is a custom minifig, pad printed on both sides and and does not have weapons. Putting the pilot into the plane does take a bit of patience as its going to be a tight fit. 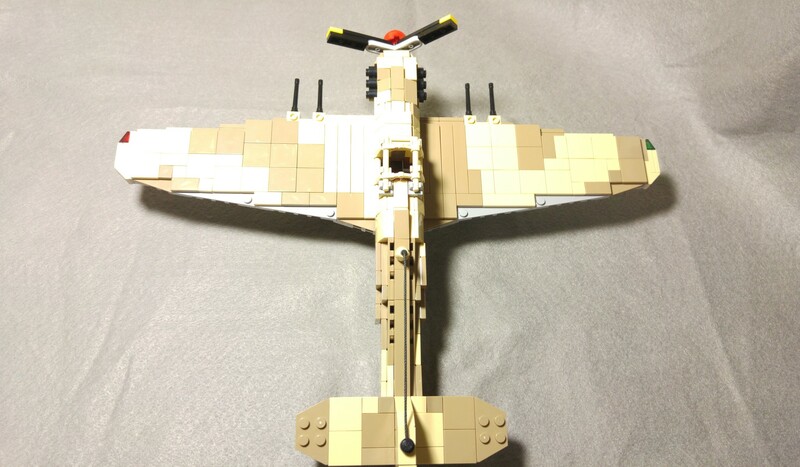 Overall, the design captured the essence of the Hurricane in LEGO with great accuracy. 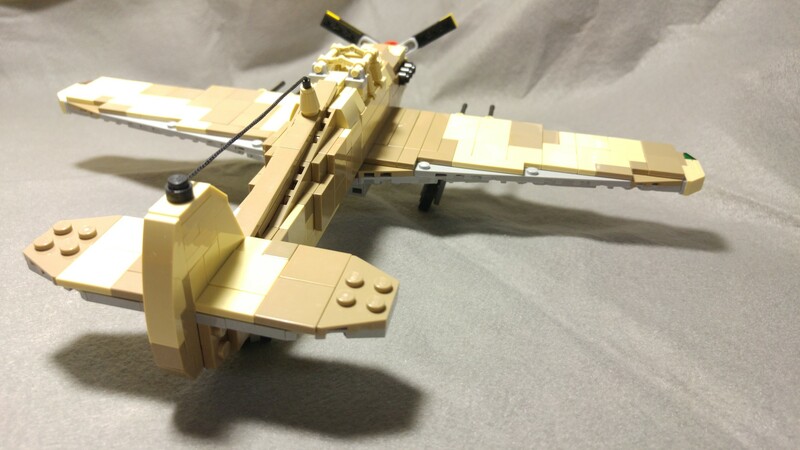 This is definitely a nice to have for Lego fans interested in planes of World War 2.